These photos were taken in the dining room at Hounslow Civic Centre (home to Hounslow Council). On the tables were leaflets regarding “reducing your carbon footprint – time is running out”. 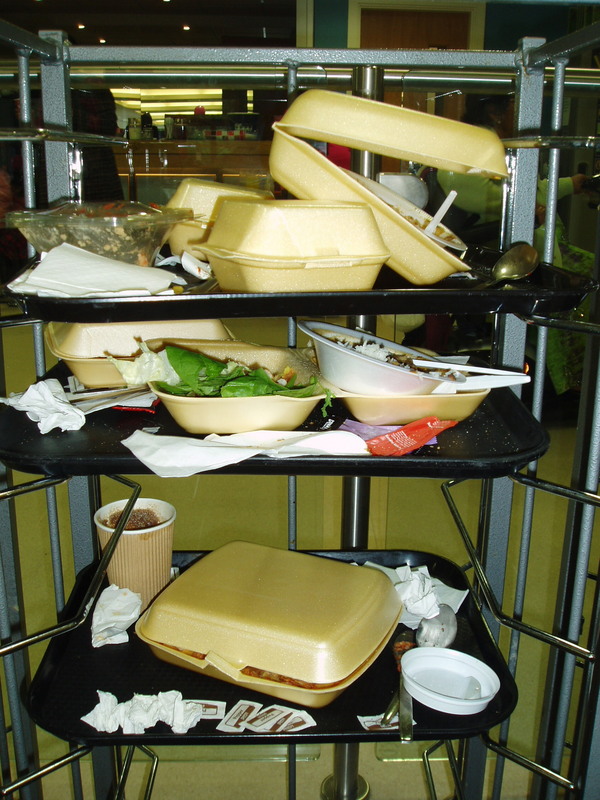 Alongside this food was being served into polystyrene containers which cannot be recycled. Therefore BRAG decided that something needed to change. BRAG took it on board and now there are reusable lunch boxes for sale at the food counter. This entry was posted in Events, Photos and tagged Civic Centre, food, Hounslow Council, reduce. Bookmark the permalink.